Hello everyone! There is nothing like a fresh new year. A new opportunity to grow, and build on what you have already accomplished. To celebrate I made a pretty card with Masquerade Ellie. I Copic and fussy cut this little masked lady. All the flowers are from Wild Orchid Crafts and I am Roses. 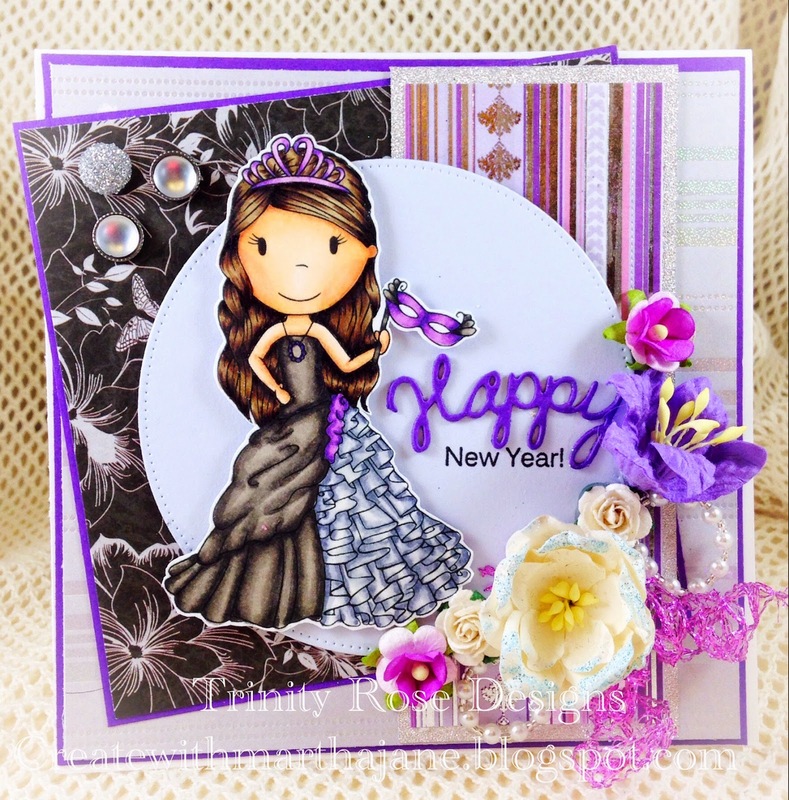 The "Happy" die cut and the "New Year" are from My Creative Time. From all of us here at The Paper Nest Dolls we wish a very happy, prosperous, and crafty New Year! I used a new hinged card method I learned to make it a six by six card. She is colored with copics and fussy cut. The "Merry" die cut and the "& bright" are from my creative time. Thank you so much for taking the time to look at my card today. Hello Everyone! Today I have a really sweet friendship card to share with you. I used Sheep Dog Avery For this adorable card. 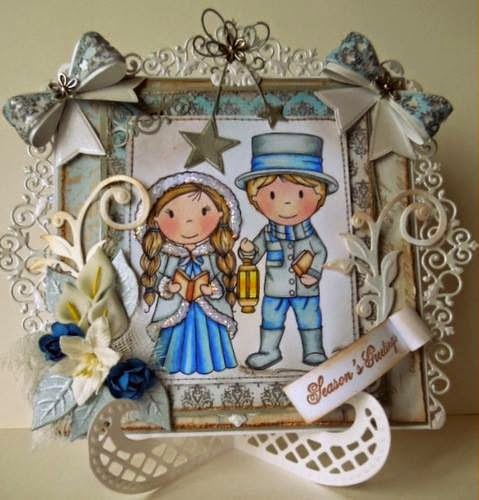 There are lots of die Cuts and flowers from Wild Orchid Crafts. The sentiment is from My Creative Time. I hope you enjoyed my card, and maybe you could make one for your Fur Ever Friend too. die. I layered the yellow paper on top of white cardstock that I folded in half. I added 3 layers to the base and some flowers. Fussy cut out Owen. 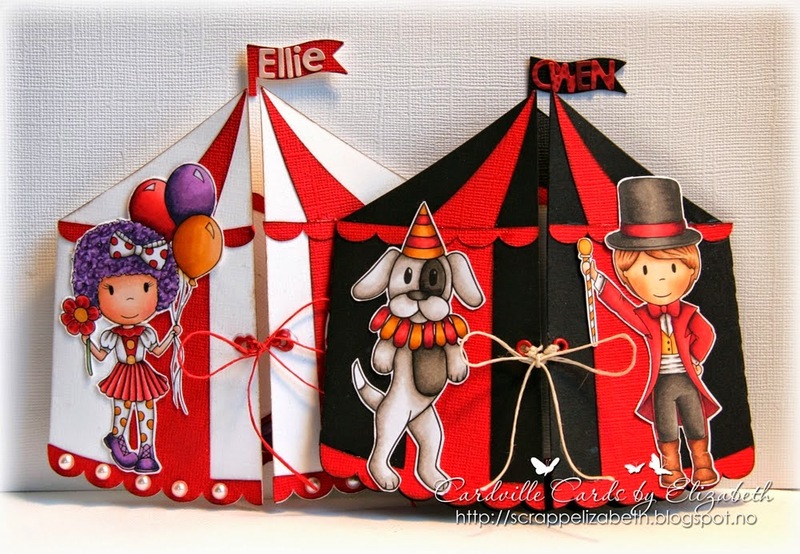 have Circus Ringmaster Owen, you can find him here. I'm not much of a in store shopper but I LOVE to shop online! I Copic colored Ellie and fussy cut her. The sentiment and the patterned paper are from a Craft Smith paper pad I got at Michaels called Blackberry Lemon. I fussy cut the sentiment from one of the papers in the stack. All the flowers are from Wild Orchid Crafts. I hope everyone is having a great holiday. Thank you for all your love & support this year. We have a lot of new and exciting things for you in 2015....can't wait to share them with you. 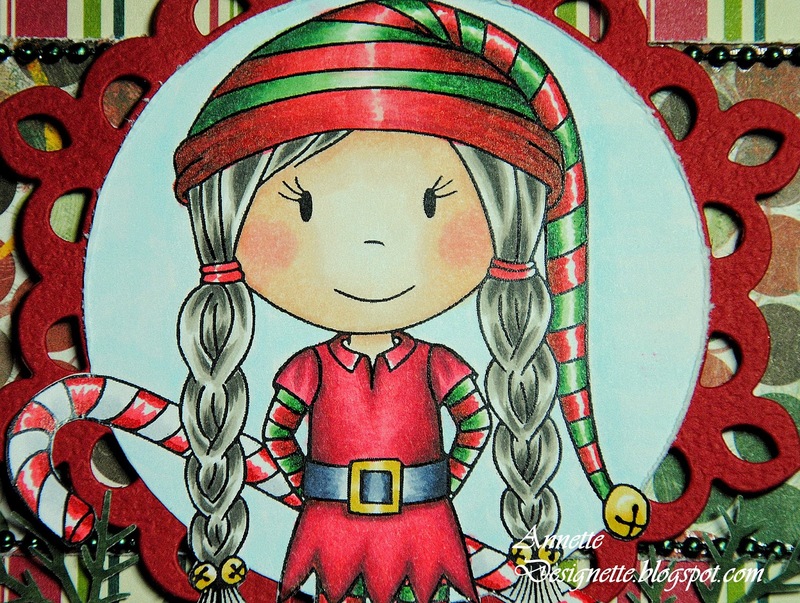 What do you think of this tag with Fairy Ellie? On the second Christmas-day, have a day full of love and joy today! I did color her with my Copic Markers. 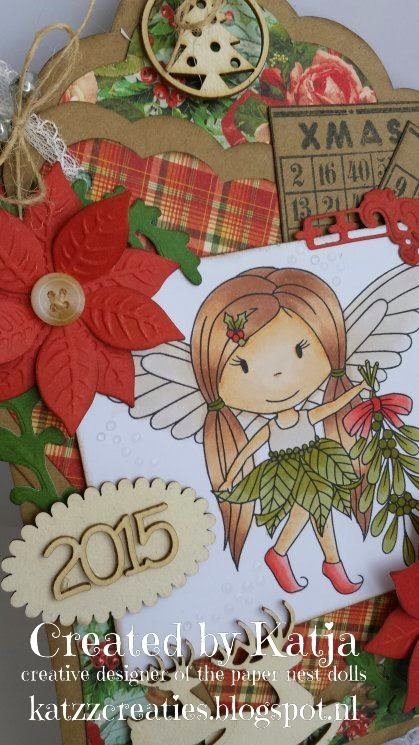 Chipboard ornaments (cloud, 2015, Christmas Tree and Deers) are from Rive-Creatief. Flowers are dies from Marianne Design and i did use a paperpad of Graphic 45! BINGO stamps are from Noor!Design. Today i have this sweet pink Christmas Card to show you all. 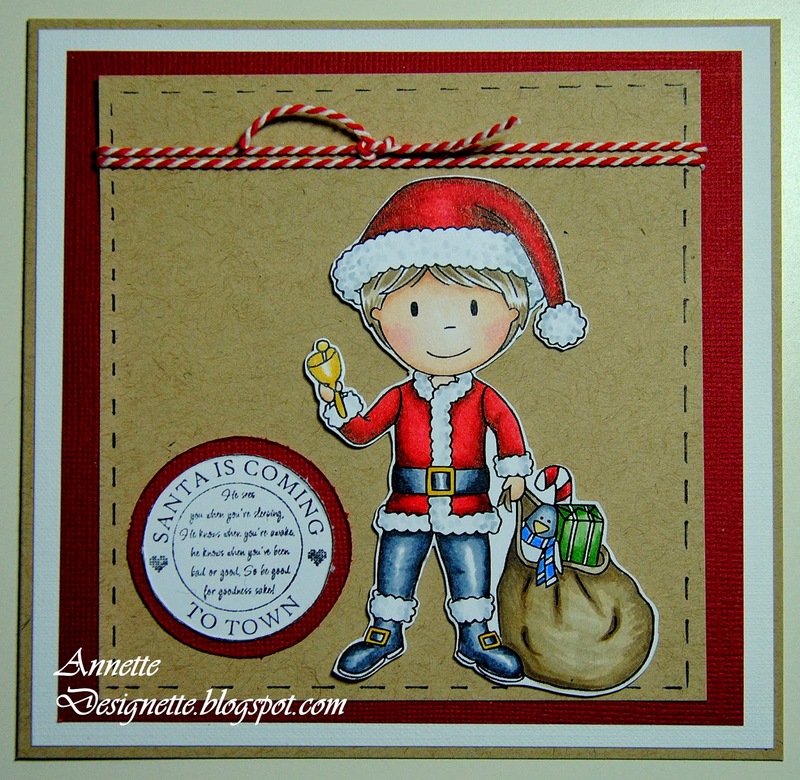 I did use stamp Letters to the North Pole! 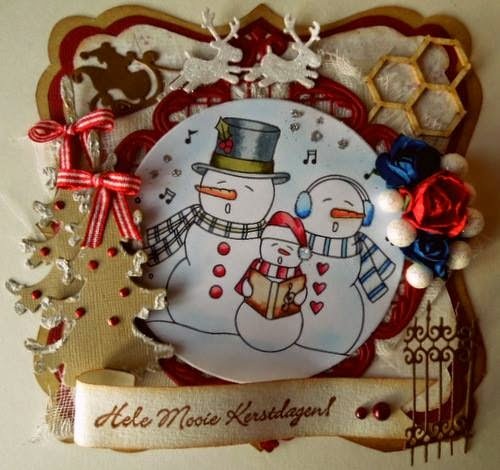 The papers i did use are from Studio Light, i did make the shap of this card with the shape art from Dutch Doobadoo, Kraft Sentiment and stars are also is from Dutch Doobadoo. 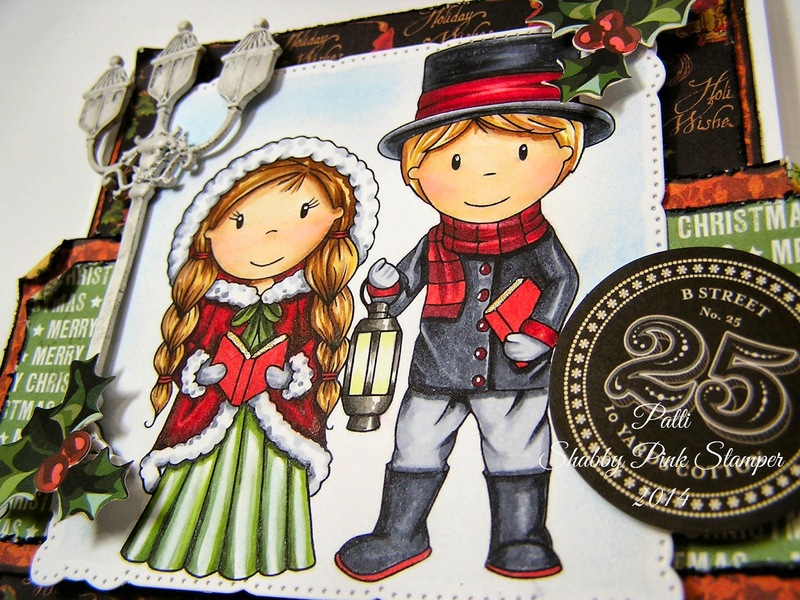 Lantern die is from Noor!Design, Notepad Die from MFT Die Namics. X MAS bingocard stamp also is from Noor!Design, mini tekst labels are stamps from Lili of the Valley. 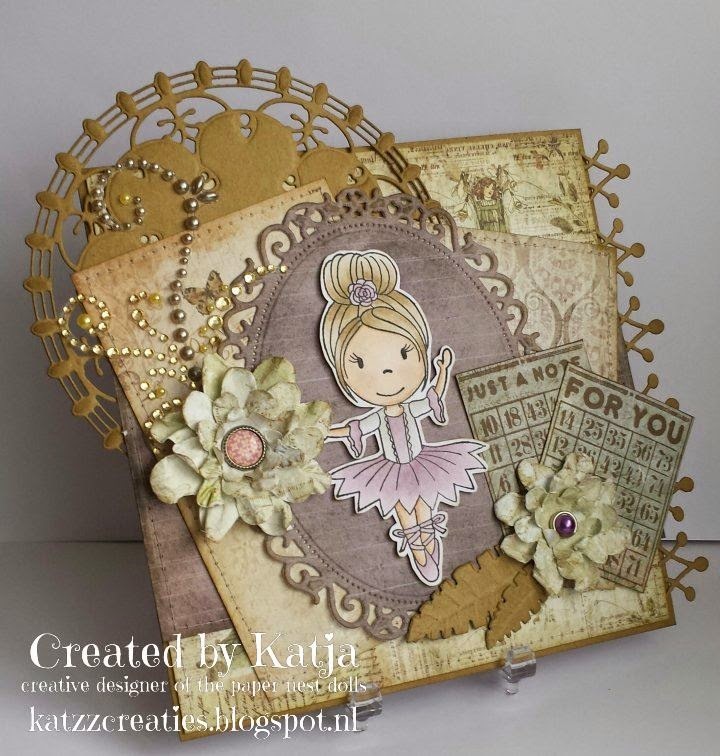 Flowers are from Wild Orchids and the chipboard ornaments are from Rive-Creatief. I did also use distress ink, Walnut Stain, Gesso and platinum Stickles. I did color this sweet doll with my copic markers and make the snow a little icicle with stickles. 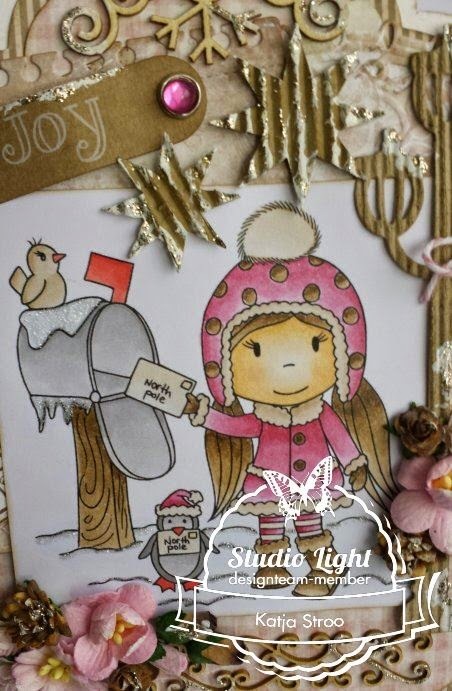 Today i want to show you a soft colored christmas card, thats something else then green and red. I have made the star with a shape of a star from dutch doobadoo, its very simpel . You take the shape,design paper from Studiolight , cardstock and a pencil and you draw the lines along the die , then you cut it out with a sissor, you dont need a die machine. I make the ends of the design papers old with a distresser and ink it . The fabric between the stars is a piece of tablecloth, but you can use it for your cards ;). Angel Ellie is colored with Distress inkt . 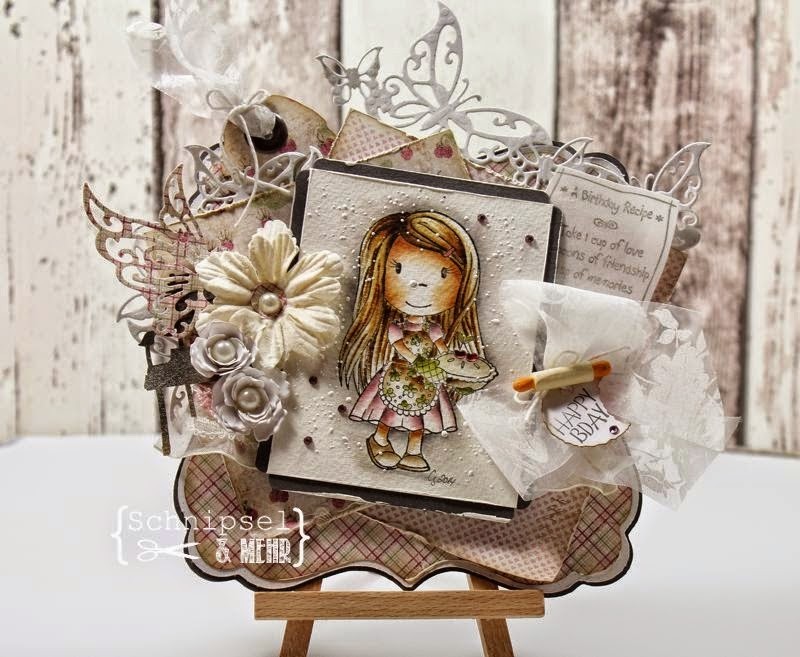 Some lovely flowers and a little heart, and above a angel, a die from marianne design. I wish you all a nice christmas . 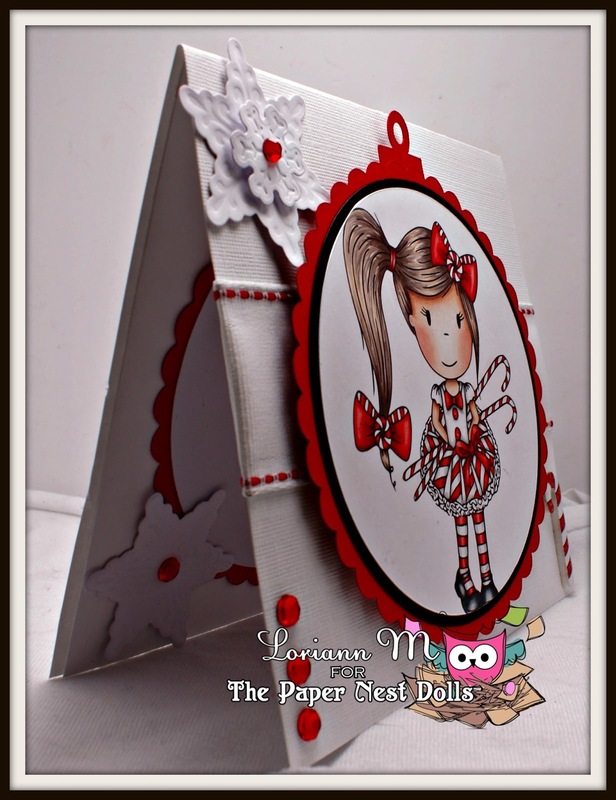 It's my time again for another beautiful card with a Paper Nest Dolls. I used for the basis cardstock and the digi-paper of MicheleRDesigns, this one is called Winter Frost and you can buy that HERE . 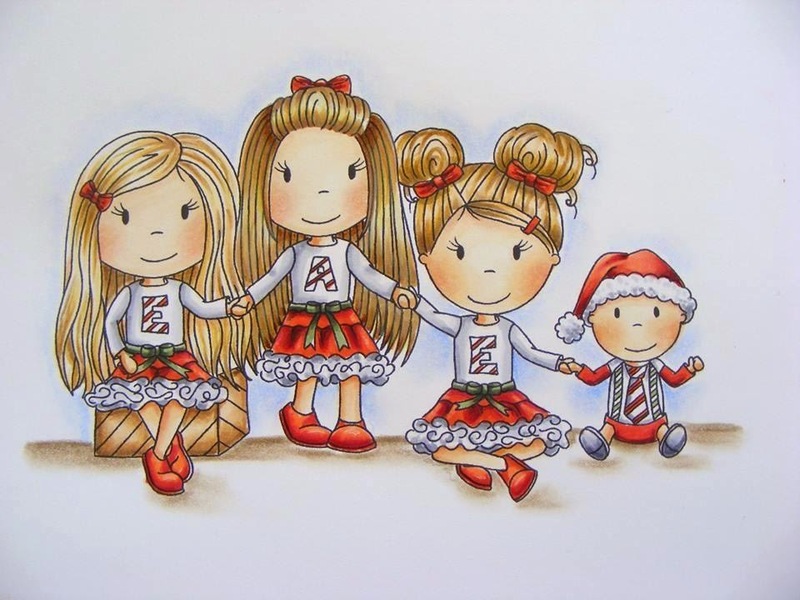 This gorgeous image is called Christmas Carollers, you can buy her HERE. In the Netherlands you can get it at a few shops, such as HobbyVision and Kippers will let you know where else you may purchase. I've colored her with PanPastel. And I used the Pearlescent of the PanPastel for a little bit of bling. AND A HAPPY and CREATIVE NEW YEAR. Today I thought I would show you Nativity stamp, which you can purchase over here. Hope you all are well and that you are getting ready for christmas without feeling totally stressed out :). Wishing you all a wonderful christmas holiday. 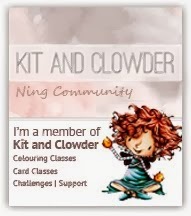 If you would like to learn more about this card the you can visit my blog. Have a wonderful Christmas and a Happy New Year. I just love this frozen family! So sweet. I Copic colored the image and added some snow to it with Frantage. I won't be talking to you guys again till after Christmas so Happy Holidays and have a blessed new year! I can’t believe how adorable this she is. Up close of the image and coloring….. Thank you for looking…. have a wonderful day! Today I want to wish you all a very Merry Christmas! a whole bag full of presents! where you can find the Copic numbers! Today i show Animal Print Avery with a sledge. The sledge is a stencil from Dutch doobadoo , and this works so simpel . You draw the sledge with the stencil on your paper and then cut it out with a sissor. I have use designs papers from Studiolight from the So Lovely line. The gifts are a die from Tim holtz , and i have put the gifts in to santa's sledge. Avery is colored with distress and cut here whole out of the paper . i used kit for the image so you get more depth. 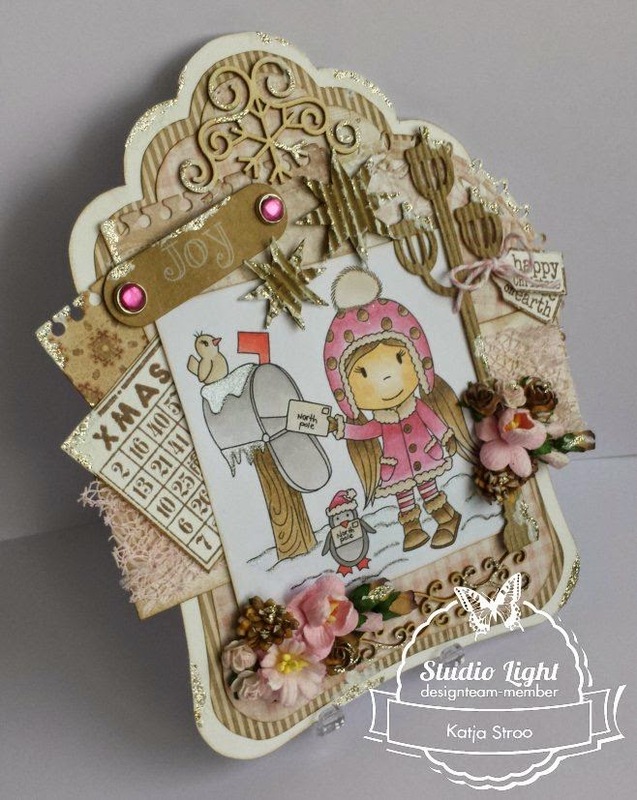 Today I am sharing the second beautiful card of Guest Designer of December, Odette Moreau, with you. 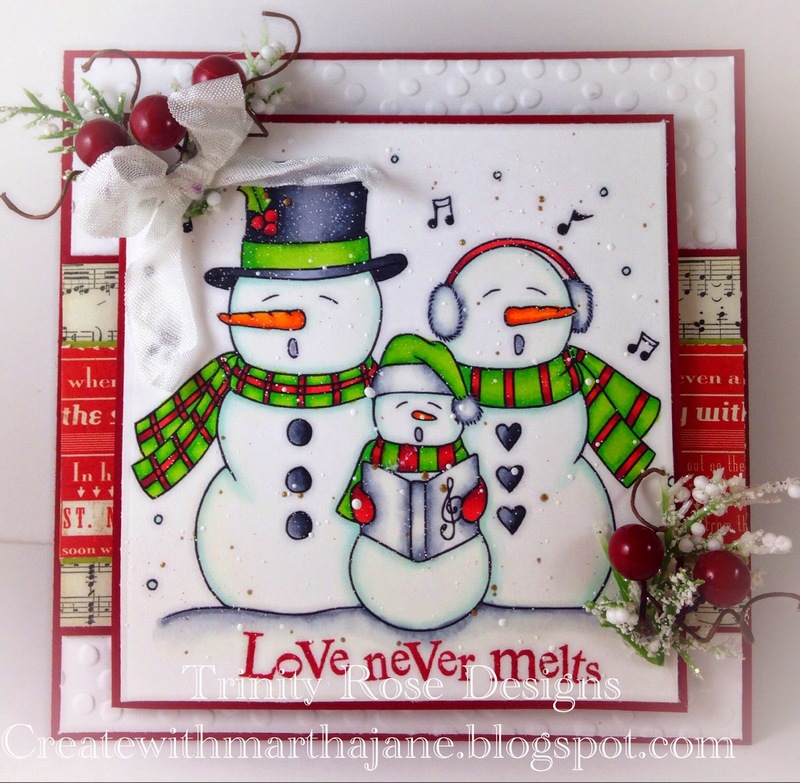 She used Caroling Snowmen to make this lovely card. 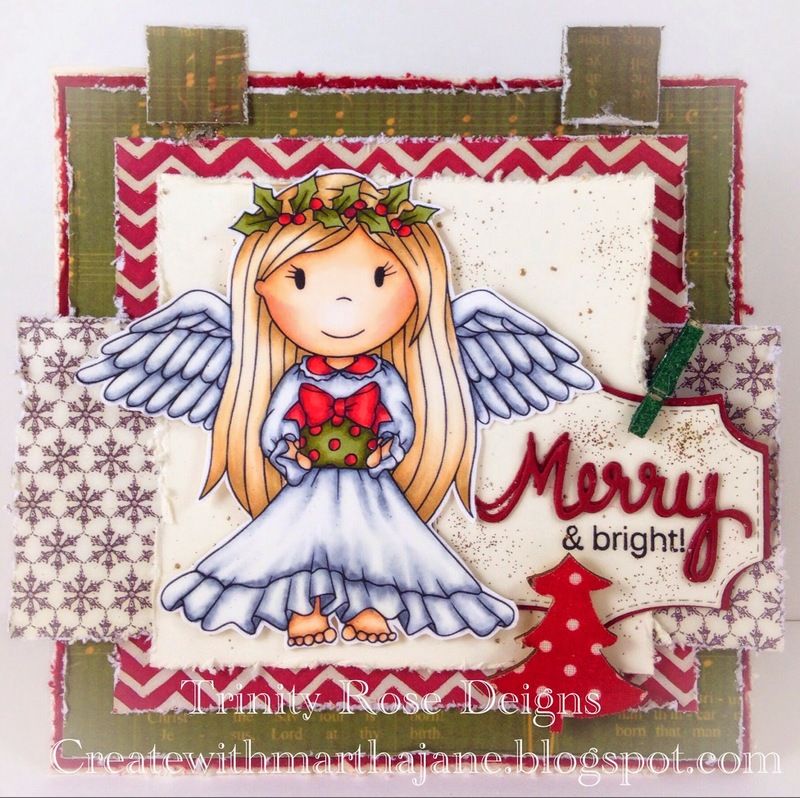 Be sure to stop by her blog here to see more of her projects. I want to thank Odette for being our guest this month!!! Hi everyone! 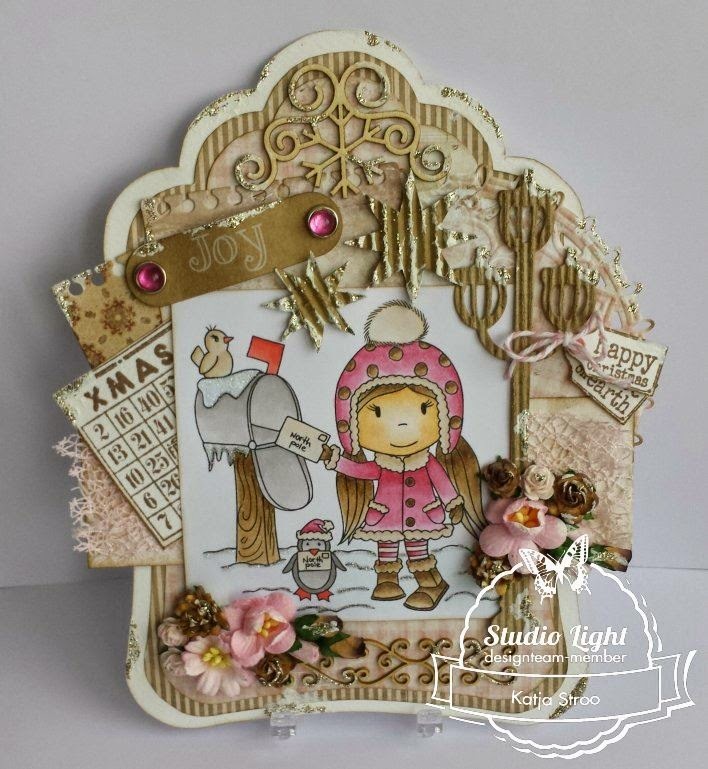 This time a little vintage card with this Holiday Ballerina stamp! 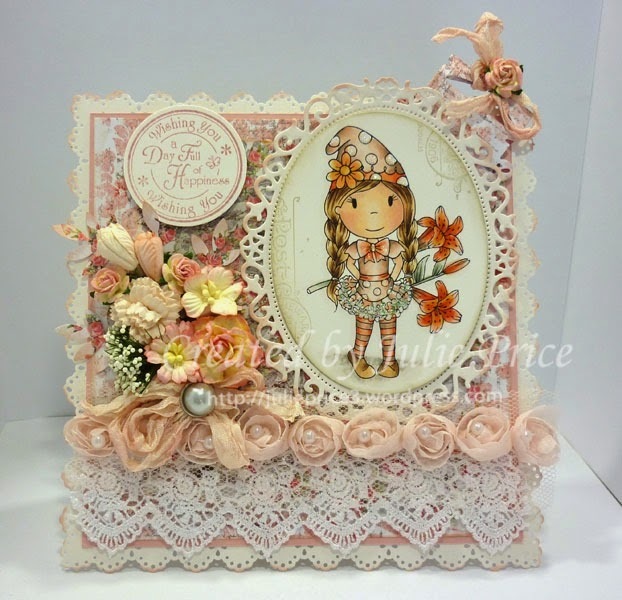 Doilie die is from Noor!Design, Border die is from Memorybox, leaves and flowers are also dies from Noor!Design. Hope you do like my card? Made a christmas card with Emma Pulling Presents to show you today. 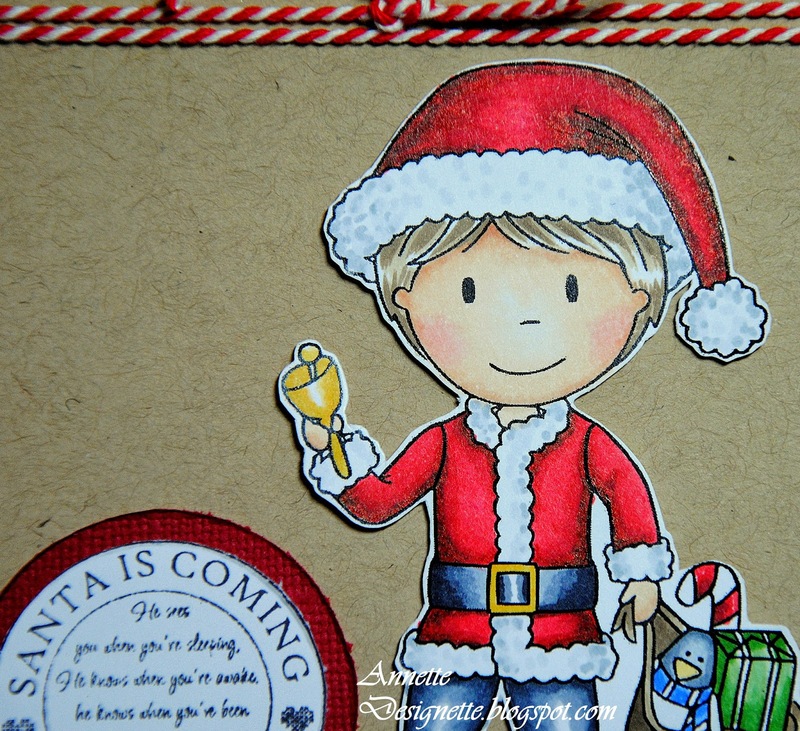 The image is coloured with copics and I have used papers from Maja Design. The decoration is bought at a local store. It is table decorations which I thought would work on a christmas card. the decorations came out early. background of the stamped image is shaded with blue chalk. my take on this stamp. You can purchase it here! Today i want to show you a little cabinet with a heart mirror. Here in the Netherlands we have a store with great bargains. I saw this little cabinet and know what to do with it. My friend her daughter was celebrating her birthday, so i made this for little Marit . I have color with distress inkt. Some buttons, pearls and my favorite Stardust Stickles for the great blingbling. Wish you a nice day . I used for the basis cardstock and the digi-paper of MicheleRDesigns, this one is called Shabby Blue Frost and you can buy that HERE . This gorgeous image is called Angel Ellie with teddy, you can buy her HERE. I hope you like it !!! I Copic colored the happy singing couple and then added the frantage around them like snow...so pretty. I added some WOC flowers, and the dies and stamps are from My Creative Team. Thanks for looking and try something new today! Hope you are doing fine in the Christmas rush! 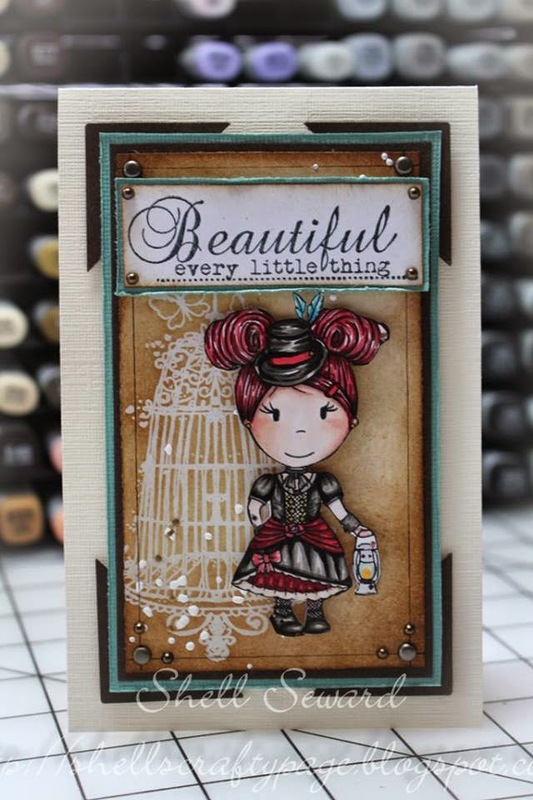 Yes, another cutie from The Paper Nest Dolls! I have used papers from Bo Bunny and American Crafts. As always I have coloured with my Copics. You can find the no. on my blog HERE! pine punch from McGill, half beads and pearl string. Hope you got some inspiration to continue with your Christmas cards! 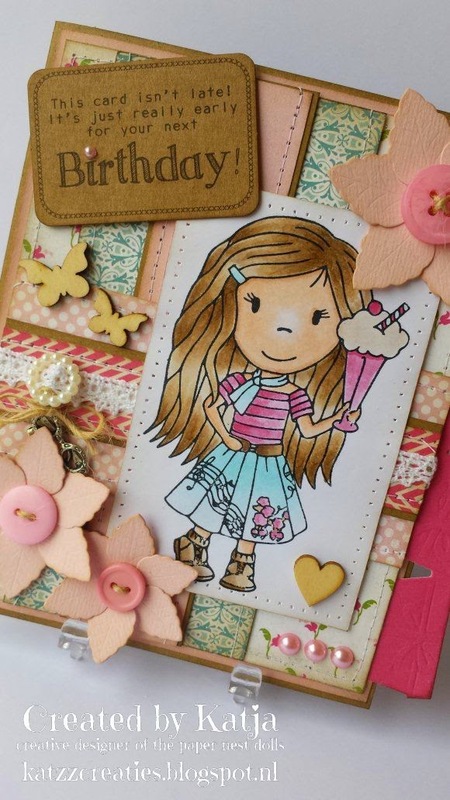 to do a two toned hair color and of course, pink made its way into the card. I so enjoy coloring pleats and folds to try and get depth into the image. toned hair too! It was fun! You can find Pop Star Ellie here! Come on! Today is my first post as a Design team member :). 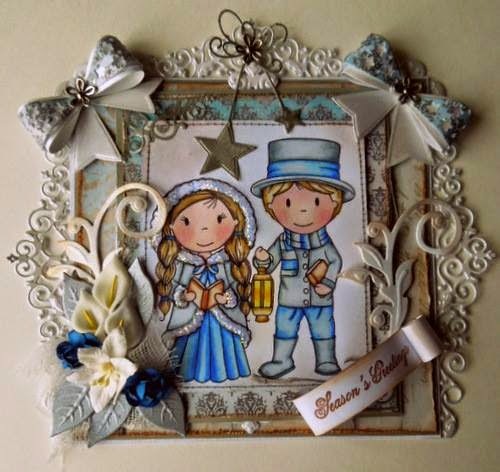 I am so busy with the christmas cards , so today a christmas card to show. This is Ellie with sign, this stamps is great, the sign is blank you get 4 FREE stamps to use...Believe, Hope, Friend and Love. I have use believe for the christmas, but you can use this stamp also for other holidays or special days . Paper is from Docrafts from last year, love the hearts in the paper. I hope you like my card and see you soon here . Today i wanted to show you this card with Poodle Skirt Avery. Paperpad i did use is from Echo Park-Sew Lovely. 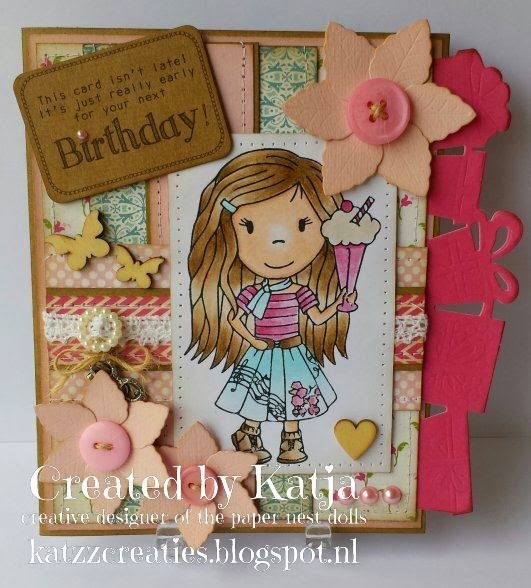 Birthday presents border die is from Noor!Design, flowers are dies from La-la land Crafts. Sentiment is from Dutch Doobadoo. I did color with my copic markers and inked the edges of all papers with distress ink Walnut Stain and use my Janomi Sew Mini for stitching on my card. Other embellishments i did use are wooden butterflies and heart, pink buttons, charms (glasses), pearl buckle and lace, adhesive pearls. 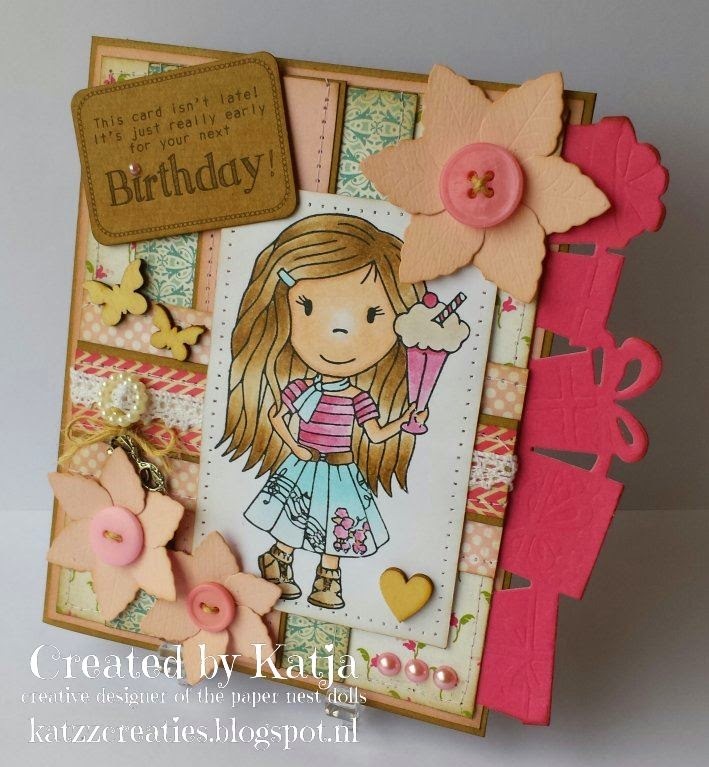 Check out these adorable birthday cards made by Guest Designer Elizabeth Elton. 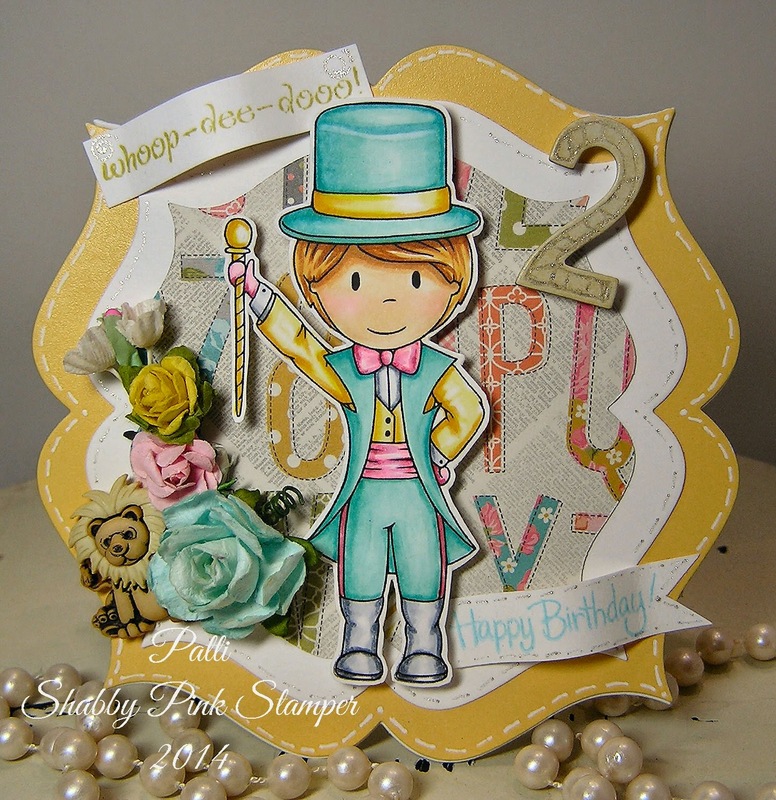 She used two of the new circus stamps for these sweet creations.... one for Ellie and one for Owen ...super cute ! Be sure to stop by her blog here to see more. 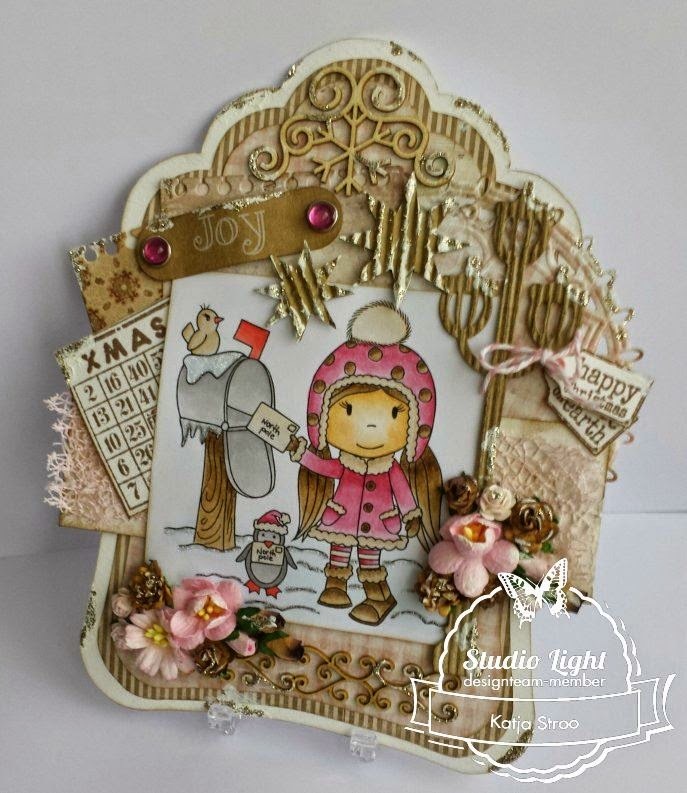 Today I am sharing a beautiful card with you by Guest Designer of December, Odette Moreau. 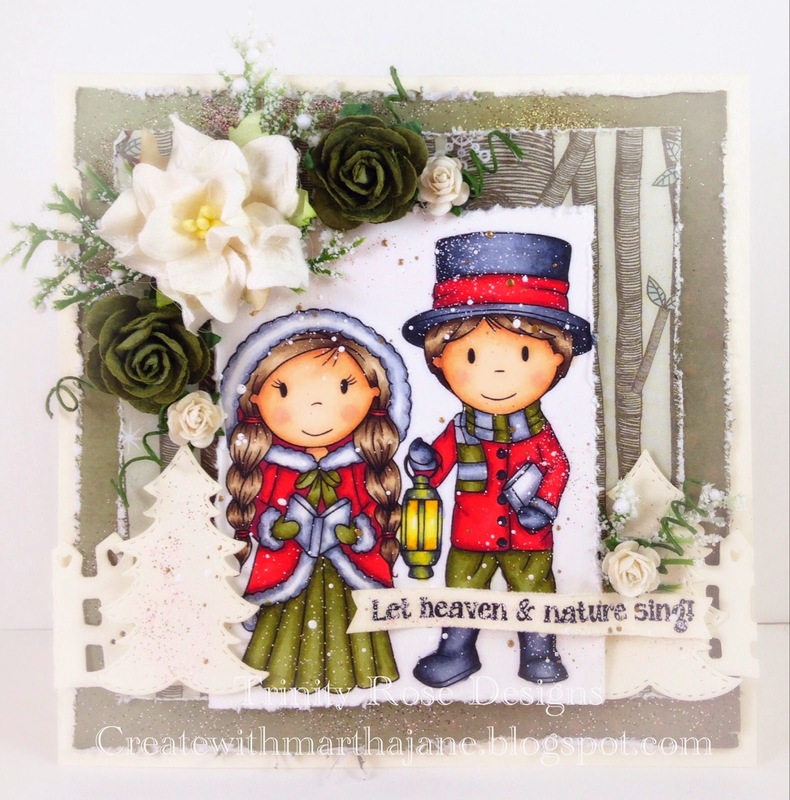 She used Christmas Carollers to make this lovely card. 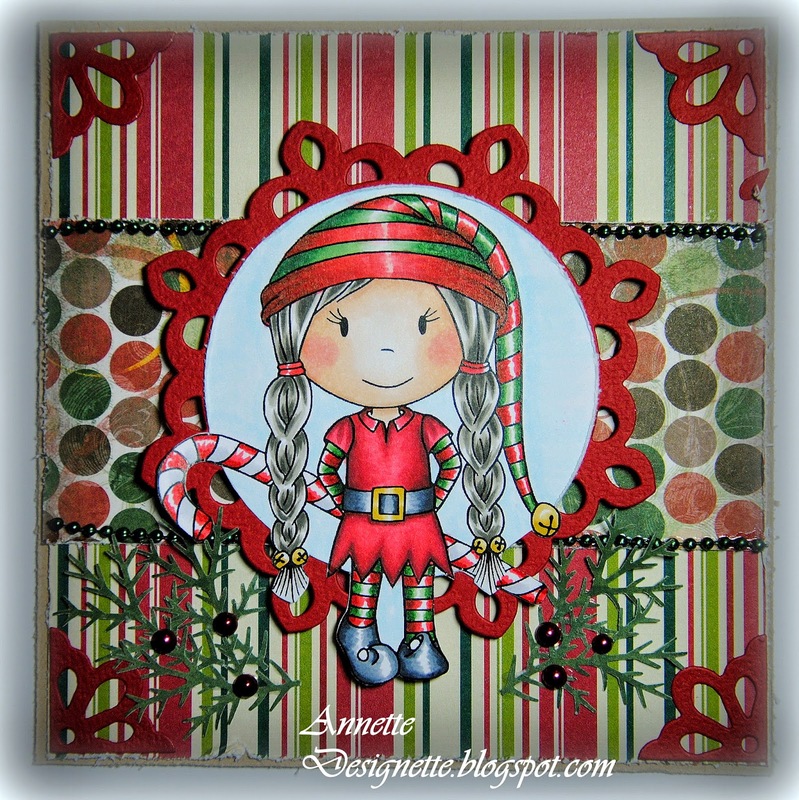 Be sure to stop by her blog here to see more of her projects.